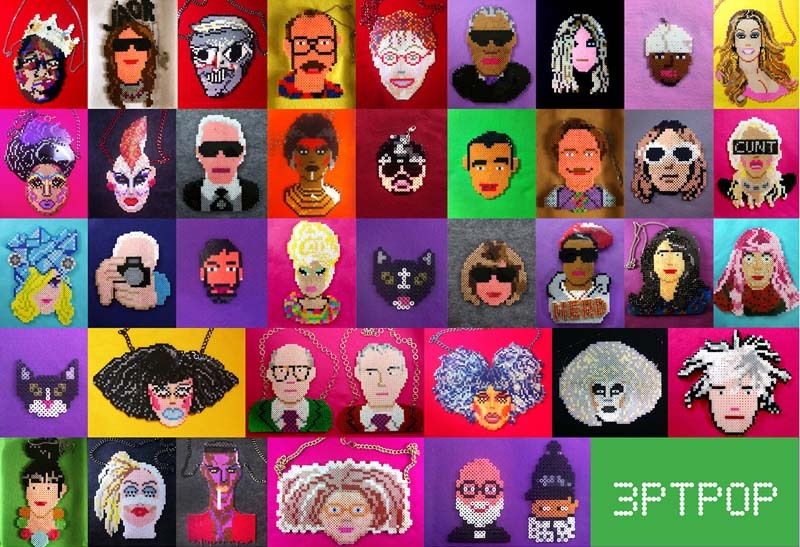 I’ve mentioned our personal appreciation/fascination for perler bead fashion accessories before and 3PTPop‘s range of portrait neckware is no exception. New York City based graphic designer Victor-John Villanueva (aka Victor Pump) is inspired by pop culture and the figures that shape it. With his label Three Point Pop he merges art and fashion. 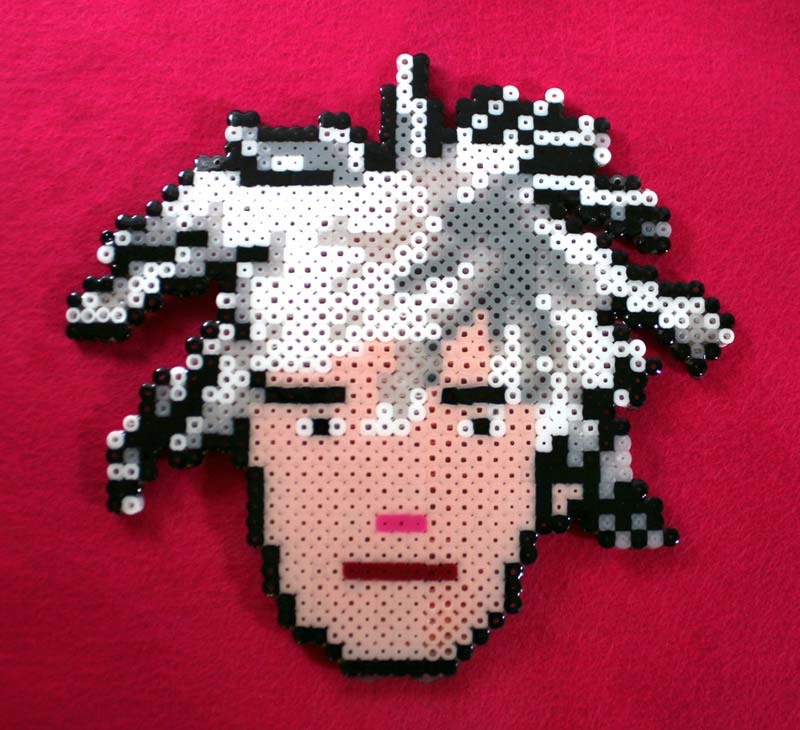 The collection features pop culture icons and immortalizes their images in fusible beads and resin. From Andy Warhol & Anna Wintour to Pharell Williams and even Bill Cunningham, Villanueva is able to render their faces in an unmistakeable way. Even the business cards are made using the fused beads. You can purchase these works as necklaces or as framed works here and you can follow the latest designs on his blog here. This entry was posted in Fashion, Fun, Graphic Design, Industrial Design, Pop Culture, Stuff We Like. Bookmark the permalink.